Tour Package Mount Bromo Ijen Crater 3 days 2 nights focuses on Mount Bromo and Ijen crater located in Subaya area. Surabaya is the capital of East Java province and the second largest city in Indonesia after Jakarta. Mount Bromo which is a tourist destination in East Java is able to attract local and foreign tourists due to its stunning natural scenery. You can explore the natural scenery in Mount Bromo as the sunrise from view point 1 which is the main of tourists destination, after that you will see firsthand the existence of an active bromo crater, teletubies hill or Savana which in the south behind the mt bromo will feature a green grass covering several hills so it has its own beauty, whispering sand is a sea of sand around mount bromo when there is a wind will cause a whispering sound will whisper our ears and then at night you can enjoy the beauty of Milky Way if you Are a photographer who I think is very dear to miss. 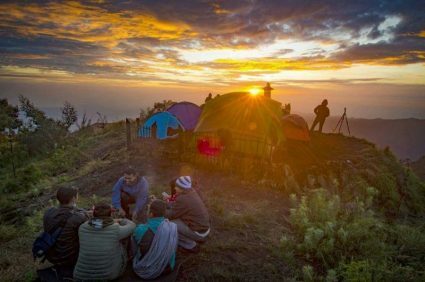 Tour Package Mount Bromo Ijen Crater 3 days 2 nights will also visit ijen crater that displays different beauty with bromo mountain that is with blue flame beauty which is natural gas and only found two places in the world. in addition you can enjoy the beauty of the sunrise against the background of a green lake located in the middle of the crater of the ijen. saw traditional sulfur mining processes by local people. This tour begins when we pick up you by our driver and tour guide at the Airport, Hotel and Train Station on Surabaya / Malang or place we have previously agreed upon. Our driver and guide will take you to the Mount Bromo area for about 4 hours driving by private car depending on the participants capacity. You can stop wherever you want, talk to our driver or tour guide. Check in Hotel at near Bromo. 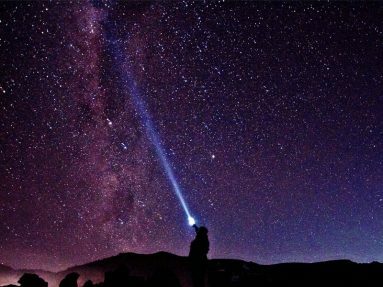 You will wake up early at 2:30 am for the preparation of the bromo sunrise tour, at 03:00 am. You leave the hotel by using 4 WD Jeep Bromo to Mount Penanjakan ( view point 1 ) which is the highest peak in the region to take pictures and watch the sunrise . From the most famous view point of the sunrise, you can see the highest mountain on Java Island that is Semeru volcano. The Semeru volcano will release smoke every 20 minutes. Once satisfied with the sunrise, return to the jeep and will take you to the second location of Bromo Crater. Jeep will park 1 km before the crater of mount Bromo. From the Jeep parking area, you be able to walk or by horse riding to going up the stairs. Next on bromo mountain you will pass 250 steps to the lips of crater. After that return from crater to the parking area. Jeep will take you to Savannah or Teletubbies hill and continue to the last point of the tour that is Whispering sand. Finally the jeep will take you back to the hotel, breakfast, shower, pick up and then head to mt Ijen region. Private Transport for whole trips ( private Car, licensed driver, fuel, private car with AC, toll ticket, parking ) include pick up and drop off.